... hmmmm, guess we shouldda held those MAY 10s. doh! The TNA LOGIC!!??! 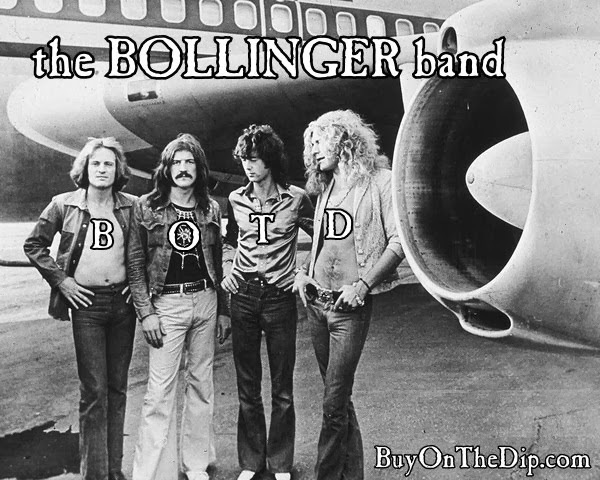 : Being "this" SHORT, we buy BIG on DIPS! That's the whole plan, OWN a 'CHUNKY' short position, ... trade the dips. Today we killed 3 soldiers trying to "pick bottoms" in FAS. Each time we 'chunked' a 15K buy, with a tight 1% stop loss. DEAD, DEAD, and DEAD. to be continued tomorrow. the "calls of confidence" method. FAZ to 110+ ??? we want that double! and we might "put" JRCC back on the short bus, it's an $8 stock. down 10% today. and COST looks like it still wants to pay. hmmmm. ideally we hold FAZ and SRS until dow 5000-6000.
and SCC looks like a stud too. our favorite short is still KUB. followed by X and PTR. I WILL BUY $FAS in the morning. again. and again. tight stops, we will catch this rally. tempted to buy UYG calls too. you're expecting just a morning rebound (oversold) rally that will possibly end negative by end of day? or you think this short term rally will last 1 or 2 days? And just hold FAZ and SRS until 2010 or DOW 5000-6000. I am expecting at least a short term bounce... might go into those banks for a quick trade b/c of how severely oversold they are..
efgu are you serious? Pump n Dump? BOTD allows this post? Thanks for the AMR short idea. I puts are at 80%. I might close have and keep half for the report release. What? 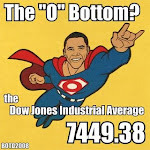 no faith in obamanomics, lol. BOTD, be very careful not to get rolled over by the inflation train later this year.. it is due to start rolling with all this "stimulus". If speedy inflation kicks in, shorts will get a beating. Timing is the only hard part, nobody knows exactly when the inflation train will start riding again. puts on AAPL for earnings. BOTD, you shorted HK here? 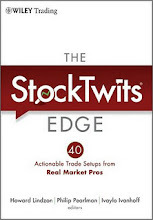 Do you still have a position & this is a trade/ hedge or you think the strength is a false rally? I think HK comes down to test 16.40-16.70 then rallies over $20, gut feeling... Unless we get that well news we've been expecting... I dont wanna wash sale on DXO so I'll wait till clearance and buy with oil below 40... 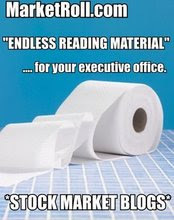 Still short COST2much2buyinbulk? What's the target? 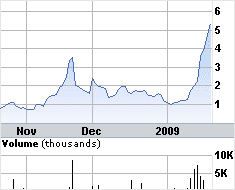 What do you think fas does on Obama bank news/ stimulus that we should see this week?? $12? You can't get the 'bear' necessities @ COST, why buy 3 ink cartridges/ sticks of deodorant/ steaks or whatever it may be when you only need one. Short it! move stops to 8.50+ .. can;t lose! ..... beat it like a ! 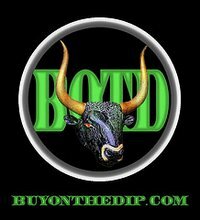 BOTD - AAPL $75 puts? kevin thanks. i checked out the website etc. looks legit but i will have to do some research. there was alot of postings about efgu supposed to pop on tuesday? what is a good buy price and sell? 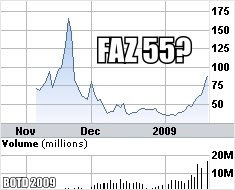 umm you wouldn't short fas just buy faz? getting close to the buzzer. I'm about to sell off FAS and get back into FAZ! Ride the wave. BOTD! 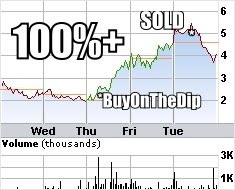 I bought on the dip yesterday! I'll wait on FAZ a bit. Those APPL Puts are going to HURT...up $8 after the close. ... i just dropped my iphone. FYI - i might buy more PUTS tomorrow AM. AAPL loves $88,why did i fight it? i guess i sold of FAS to early. then again, I rather profit than lose! Must not LOSE!! Nice call on AMR and FAS today, you still holding FAS? FAZ? I 2nd AMR...Great call. Can you explain the game plan on AAPL puts. i love apple products. but its a glorified retail play ... consumers are broke, SHORT AAPL! With Vol dropping tomorrow on APPL, those Puts are really going to hurt. BOTD has made me some coin...Ill be short on AAPL... Feb or march puts at what value? You the man BOTD tight stop. "I WILL BUY $FAS in the morning. again. and again. tight stops, we will catch this rally. tempted to buy UYG calls too." 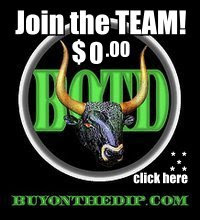 BOTD, oil inventories tommorow... reserves up/ oil $$$ down?? AAPL beat= 'it's not that bad' market rally again? I'm thinking about adding DUG & ERY, and some more TNA... Long Banks (FAS)& Small cap (ERY) short oil & energy= Aggressive Hedging... Thoughts? Was in FAS from yesterday, stopped out on the morning dump. Back in @ 8.60! "If you fail... dust yourself off and try again, try again"
we must take advantage of these BEAR MARKET opportunities. I made some money playing some of your calls as I agreed with your logic, but to short APPL when they have so much cash and thier sales of Macs were UP in the bad economy. They also have 30% margins and don't forget their shared revenue agreement with AT&T. I don't think it's wise to short APPL even if Jobs showed up at Bernie's House unless you are looking to scalp a few dollars here or there. why buy FWLT or JEC, when you can buy Furmanite @ $4 ~ and Maximize Asset Uptime! i tip my hat for FAS rec. Hey BOTD, where do you see financials headed tomorrow? Follow up to today's rally or pull back? FAS to $15? Hey BOTD, pulled the trigger too early today in FAS, is it still safe to get in?